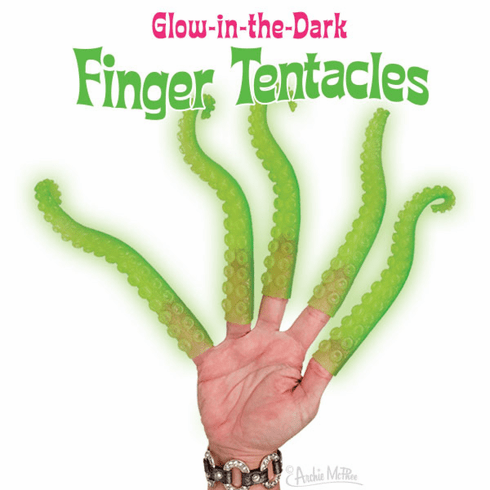 Now you can transform your fingers into tentacles at night! These are the same as our 7" (17.8 cm) long Finger Tentacles except that they're green and they glow in the dark! Pretend you're a squid. You'll get thirty-six soft vinyl tentacles in each illustrated display box.